Electing the chief executive of our state is a key decision for voters. What criteria should be used? This week’s CLP Current Event has some great articles and strategies for tackling this hot topic! Beyond the usual issues, there’s one other big reason to pay attention to governors this year: Governors who are elected in 2018 will almost all still be in office in 2021, when the next round of congressional redistricting starts. In many states, governors will wield a veto pen over the new House and state legislative maps. What are the main issues in this gubernatorial campaign? On what issues do they agree? On what issues do they disagree? Do their differing positions on the Sanctuary law repeal help to contrast their ideas? What differences do they have about pensions, education and housing? How does campaign money influence governor races? Should there be limits on campaign spending? 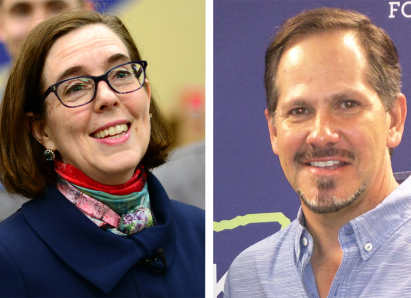 Does this governor race reflect the polarization of the political climate across the country? What effect does polarization have on elections? What do the political ads for both candidates say about how elections are conducted? What does the ideal governor look like? Who are the less known candidates for governor? Should they have equal time?